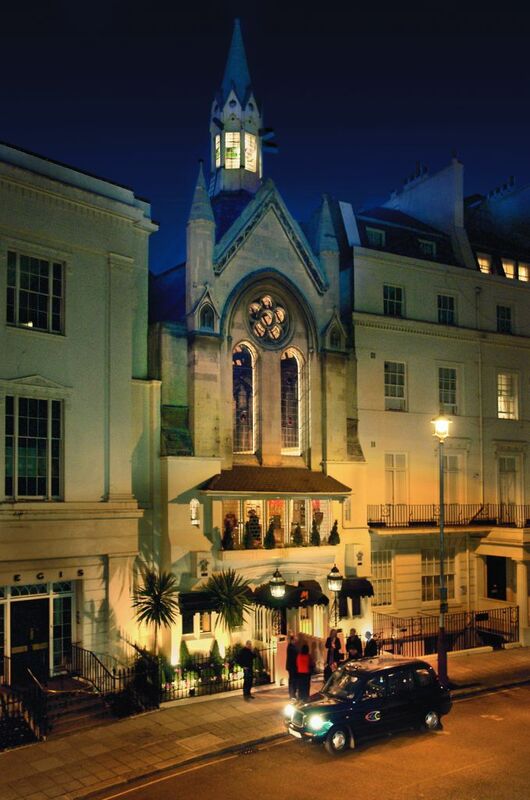 With seven private dining rooms to its credit, and the option of exclusive hire of the fabulous restaurant and bar, Mosimann’s Private Dining Club is a wonderfully versatile venue set in the uniquely atmospheric surrounds of a former Presbyterian church in the heart of Belgravia. It has the capacity to hold up to 110 guests in the main restaurant space, a license for civil ceremonies and a private room for just 2, so it’s as often used for engagements and wedding parties as it is for product launches, corporate dinners and other social occasions. And the best part is, although it’s a private member’s club, neither bookers nor guests need to be members to use the private dining rooms or hold exclusive events. The members get reduced room hire fees and full use of the main dining room facilities along with invitation to exclusive events. Mosimann’s is a perennial favourite that’s hosted many a celebrity and royal, but discretion is part of the draw for their A-list guests – as is the attention to detail which is notable in each room. Starting at the top, the Garrard Room in the belfry boasts a stunning white and silver colour scheme with blue and clear glass ball lighting. 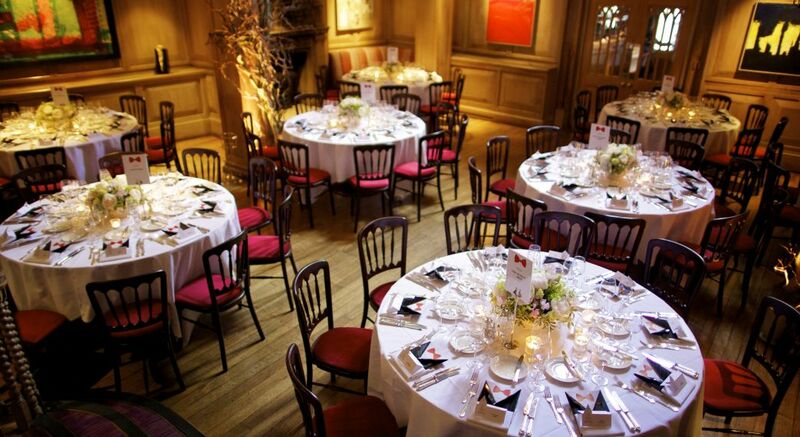 The room can seat up to 50 on round tables or 18 on one long table with room for a drinks reception beforehand. It also holds a civil partnership license and is ideal for smaller weddings of 30-50 guests used in conjunction with the Parmigiani Room below for a reception. Flooded with natural daylight and boasting a small discrete balcony the Parmigiani Fleurier Room is thoroughly versatile, with its muted tope and gold colouring and layout – either three tables of ten or one of 24. With views of the main restaurant and outside through its arched windows this is a popular room for daytime events as well as elegant evening do’s. It also benefits from its own cloakroom, gentleman’s toilets and access to the lift (for the ladies’ powder room). The first floor hosts three rooms, The Bentley Room with its stunning mahogany table and British racing green leather bucket chairs it’s ideal for board meetings, lunches and dinners. With natural daylight, space for up to 14 guests and a drinks reception, every detail has Bentley link, from the lampshade with racing motorcars inside, to the 007 books (his original car was a Bentley not an Aston Martin) and other fascinating memorabilia. The Lalique Room is exquisitely elegant with pale green, neutral colours and a beautiful window providing natural daylight. From the handcrafted crystal table-pedestals and mirrors, to the unique butterfly artwork and silk lampshades, it’s a stunning room for up to 12 guests whether for lunch or dinner, business or pleasure. Finally, on this floor, The Montblanc Room – for just two – is nicknamed ‘The Engagement Room’ as the romance of this delightfully intimate space with a domineering grey and clear crystal chandelier and gently sparkly walls is undeniable. As with all the rooms, there’s a push button for service, but the events team will liaise beforehand to ensure timings are exactly right. For a view of the kitchen, The Davidoff Room is perfect for a discrete dinner or meeting space with a one-way window and retractable blind if you’d rather not be distracted by the chefs in action. The elegant wood panelled room can seat up to 6 guests, has air-con and is even sound proofed for ultimate privacy. Upstairs on the ground floor adjacent to the main restaurant is the Lanson Library, a warm and decorative take on the theme, which can be used either separately for a semi private dining experience for up to 30 on three tables of ten or 20 on one long table or as part of an exclusive hire in conjunction with the restaurant and balcony. Top tip: as the restaurant is closed on Sundays, it’s a great place to hire exclusively for a wedding reception! And now to the menus. For parties of up to 10, guests can be offered the a la carte. For larger parties, there is a stunning choice of 12 different menus starting at £64 per person, rising to £118 for a five course menu gastronomique, there are also vegan and vegetarian options available. The kitchen is also very happy to cater for gluten free and low salt menus. The menu includes many of the dishes that originally made Anton Mosimann so famous, from a divine risotto ai fungi packed with flavour and wild mushrooms, to a roast loin of lamb with a herb crust that’s so tender it cuts like butter. For desserts, his signature bread and butter pudding still graces the menu and wows old and new guests alike, alongside other favourites such as passionfruit soufflé and, of course, his trademark truffles as part of the petit fours. For standing receptions, canapés are available from £3 per piece or £2 per person for ‘nibbles’ and bowl food is available on request. Room hire ranges from £175 to £850 dependent on time and date of event. It’s also worth noting that there’s a donation of 20p per bottle of water that goes to the charity foodforthebrain.